Opting for the 8-speed has its benefits—smooth shifting and paired to bigger engines—but fuel economy isn't one of them. The 2017 Chevrolet Silverado is a straightforward, good-looking pickup that'll work in nearly every circumstance, with any outfit. It's the buzz cut of full-size trucks. It carries over virtually unchanged from last year—just a couple features were added—and is offered in a broad line of trims starting with base work trucks (LT) that start less than $30,000 up to LS, Custom, LT, LTZ, and luxo High Country models that can approach $60,000. The Silverado 1500 relies on crisp lines, square shoulders, and a tall hood to announce its arrival. It's a handsome truck that gets better looking in top trims. 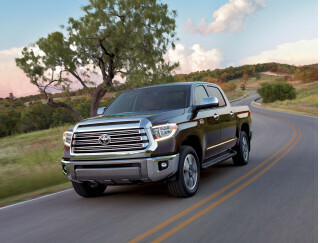 A Custom trim with body-colored trim and big wheels tackles "Sport" appearance trucks from rivals, but most trucks will be utilitarian haulers. Inside, it's a no-nonsense world of upright edges and clearly marked knobs and dials that do what they say—and say what they do. It's the "Jitterbug" approach to interior design, and one that we can get behind for pickups. A V-6 is standard in the Silverado, and a pair of V-8s step up from there. The 4.3-liter V-6 is good for 285 horsepower and 305 pound-feet of torque, and suitable for most jobs—even towing most recreational toys. A 5.3-liter V-8 is the next pick and pushes the Silverado to drag more than 11,500 pounds, if properly configured. Its 355 hp and 383 lb-ft of torque will hit the sweet spot mentally for many buyers, and its not a bad pick. A 6.2-liter V-8 sits atop the heap and can haul up to 12,500 pounds this year, but its massive 420 hp and 450 lb-ft somewhat spoils the ride if it's not carrying a load. Most trucks will be mated to a 6-speed automatic, although top trims with the 5.3-liter and 6.2-liter V-8 engines are paired to an 8-speed. More gears doesn't translate into better mileage here; most trucks average around 18 mpg combined even with more forward cogs. All trucks can be rear- or four-wheel drive, with dozens of combinations possible between engine, transmission, and axle ratios to maximize fuel economy or towing. The 2017 Chevrolet Silverado doubles as a mobile office, daily driver, and work hauler for many people. It's very comfortable in all three capacities and is even being used as a family sedan. 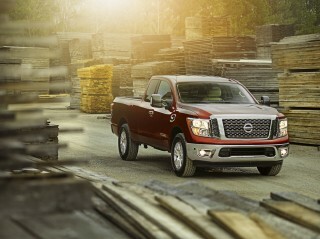 Its versatility begins and ends with the open bed in the back and spacious in-cab room. Top trim trucks add luxury features such as large infotainment displays and active sound cancellation. The Silverado 1500 has earned fairly good scores from federal testers for crash safety, and the IIHS has given it mostly top "Good" scores in every category, except the small overlap crash test. Top LTZ and High Country models can be equipped with an advanced suite of safety features that include active lane control, front and rear parking assistants, and forward collision warning with automatic emergency braking at low speed. The latter feature is new for 2017 along with a Teen Driver program that monitors speed, distance, and any safety system interventions when younger drivers are on their own. Like all full-size trucks, there are myriad combinations of features, accessories, and schemes that can be added to the Silverado. We advise taking inventory at home first: what's needed and how much it can cost. Base trucks are empty canvases from which to add more seating, bigger beds, more capability, more technology, and higher costs. We don't see many buyers off the street springing for WT models, so LS trucks are a good place to start. Something in a 5.3-liter Crew Cab, perhaps? Handsome, inside and out, the Chevrolet Silverado would be at home in any valet lot. The 2017 Chevrolet Silverado is unchanged from last year. Up front, the Silverado is tall and blunt, taking inspiration from the heavy-duty line from Chevy, which in turn, look like big rigs to us. The result is an aggressive look that only gets more pronounced on special edition trims. The high shoulders and squared-off appearance are sharp enough to set your watch to, and squared-off wheel wells finish the design. Despite the brick-in-the-wind look, the Silverado is actually more aerodynamic than its predecessors, and active grille shutters help smooth the airflow across the front to maximize fuel economy. Two V-8s are available, but we say give the Silverado's V-6 a spin—you might be surprised with its power. All the greasy bits in the 2017 Chevrolet Silverado 1500 are the same as last year. Under the hood are three available engines that can be paired to two different automatic transmissions. Rear axle ratios will change depending on powertrain configurations and towing needs, and all trucks can be equipped with rear- or four-wheel drive. Pickup truck powertrains can be as complex as their trims and accessories, so an open mind and plenty of coffee are suggested before picking what setup is best for you. 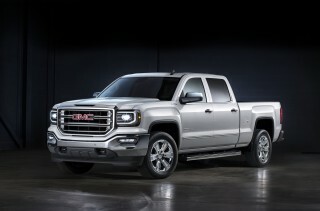 Base trucks are equipped with a 4.3-liter V-6 that makes 285 horsepower and 305 pound-feet of torque. That engine is essentially a V-8 with two cylinders lopped off with a balance shaft design that helps smooth the rougher edges. We say the V-6 has enough muscle for most light-duty jobs, including hauling a weekend boat or a trailer full of snowmobiles or ATVs. We towed a 4,700-pound camper with the V-6 and didn't blink merging into high-speed traffic or maintaining speed up steep grades. The 5.3-liter V-8 is the mainstream pick and makes a meaty 355 hp and 383 lb-ft of torque. When equipped, it can tow up to 11,500 pounds, and is mated to a 6-speed automatic, or 8-speed automatic in LTZ and High Country trims. Top-trimmed trucks can stuff a 6.2-liter V-8 under the hood that makes 420 hp and 460 lb-ft, but we're not sure that's the answer for many drivers. Fuel economy is predictably the lowest in those trucks, and unladen, the trucks can have a fair bit of suspension hop that spoils the Silverado's ride. All three engines sport Chevy's cylinder deactivation technology that can shut down all but four cylinders in the engine in low-load situations, such as highway cruising, coasting, or deceleration. An active exhaust system makes up for the required change in back pressure when the switch occurs, and also does its best to keep the associated pulses from being felt or heard by occupants. We've found the ride to be good in the Silverado, despite its less cushy setup than the Ram 1500. Chevy's electric power steering system is nicely weighted too, without over-boosting like other models. Comfortable, quiet, and capable, the 2017 Chevrolet Silverado makes for a great mobile office. The 2017 Chevrolet Silverado doubles as the office for many buyers, relying on those trucks to carry heavy loads for long distances or shuttle from job site to job site, carrying files, people, or a combination of both. Chevrolet offers the Silverado 1500 in three different cab configurations: two-door regular cabs, four-door extended cabs, and roomier four-door Crew cab models. Three bed lengths are available and vary based on cab selection: 6-feet-6-inches, and 8-feet long. 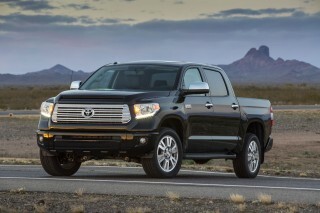 Unlike with past generations, Crew Cab models are available with a 6-feet-6-inch long bed. 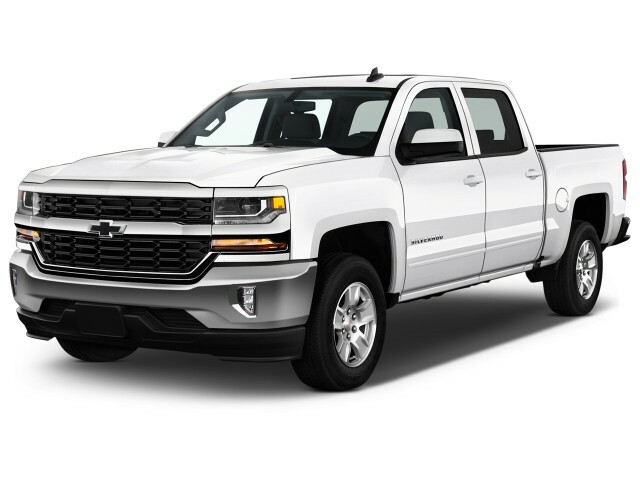 The Crew Cab models are Chevy's hottest sellers, and are spacious for four adults. The rear doors are large for easy entry and exit, and the middle pillar is pushed forward, which helps rear occupants swing their feet in more easily. Extended cab models, called Double Cabs, have rear doors that hinge from the front as well, but cut rear leg room by more than 6 inches for rear passengers. Still, back-seat riders have more than 34 inches in the back, but those models aren't as spacious as Crew Cab models. Inside, the available cloth is a high-wear material. Also available are options ranging from tough vinyl in Work Truck trims all the way up to supple piped leather in top-of-the-line High Country models. With the High Country trim, Chevy brings the Silverado in line with GMC's Denali offerings, adding a premium look and feel. The seats front and back are comfortable and well contoured, and steering wheels can be tilted or telescoped to offer a more natural driving position; a heated steering wheel is also available. Clever features abound. Chevy's available steps near the box make it easier to get in and out of the bed, and LED lamps are hidden under the bed rails to help visibility. Inside, an active noise cancellation system comes standard on trucks equipped with a bigger V-8 and Bose audio system that quells any thrums from the active cylinder deactivation system. Chevrolet's MyLink system is among one of our favorites from any truckmaker. It's plain and straightforward, with crisp high-resolution graphics that are easy to read. When equipped, the system can support Apple CarPlay or Android Auto, which is more intuitive for smartphone owners. The Silverado 1500 manages fairly good safety scores, but advanced safety features are reserved only for top-trim trucks. The 2017 Chevrolet Silverado 1500 manages good safety scores and can be equipped with very good safety features that help it stay on top of rapidly evolving regulations. In federal testing, the Silverado 1500 managed top five-star scores in nearly every test, except rollover protection, where it earned a four-star score. The IIHS separately gave the Chevy truck top "Good" scores in every crash category, except the small overlap crash test, where it earned an "Acceptable" score in extended-cab models, Crew Cab versions received a "Marginal" score. All trucks are equipped with stability control systems and trailer sway control, as well as a standard set of airbags, including dual-stage front and side impact airbags, as well as side curtain airbags. In top LTZ and High Country models an advanced suite of safety systems are available, including active lane control, forward collision alert with automatic emergency braking, automatic headlights, front and rear park assist, and a seat-mounted alert system that vibrates to warn drivers of the direction of possible dangers. The 2017 Chevy Silverado can be as unique as your fingerprint, and as luxurious as your pockets dare. The order guide for the 2017 Chevrolet Silverado 1500 reads like an act of Congress. It's dense, requires patience, and can be specifically targeted to an individual buyer so much so that it's a wonder anyone had the time to write it at all. We'll make our best efforts to condense it for you, but considering the myriad options available, we'd highly suggest a few prep tasks first: know your needs, and know your budget. The Silverado starts in WT (work truck) spec, and moves up to LS, Custom, LT, LTZ, and High Country models. Fleet-truck buyers will get air conditioning, an AM/FM four-speaker stereo, cruise control, 17-inch wheels, vinyl seats, power locks, and a handshake. Power windows, remote keyless entry, and locking tailgate are a $1,175 option on WT models. LS trucks get an upgraded 7.0-inch touchscreen with Chevrolet's MyLink infotainment, an upgraded stereo, Bluetooth, OnStar, power windows, and cloth seats. Custom trucks similar to LS models, but are skinned differently with 20-inch wheels, body colored bumpers and grille inserts. Stepping up to an LT truck adds more creature comforts such as an 8.0-inch touchscreen with MyLink, Apple CarPlay and Android Auto, a 4.2-inch color driver information display, upgraded aluminum wheels, rearview camera, a 110-volt AC outlet, and a tailgate bed with dampers that make lowering or closing the bed easier. Z71 models add a little more pizzazz with 18-inch wheels, off-roading gear such as Rancho monotube shocks, and a little more chrome. LTZ models are near-luxury trucks, according to us. In addition to heated, power-adjustable leather seats, the LTZ models feature LED headlights, remote starter, and the bigger 5.3-liter V-8 is standard on those trucks. LTZ Z71 trucks follow the same logic as before. High Country models are trimmed like luxury cars with 20-inch wheels, ventilated front seats, navigation, step-in rails, heated steering wheel, power adjustable pedals, wireless cell phone charging, Bose audio, and a standard suite of safety features that we cover separately. All models come with at least one USB charging point, LT and higher trucks have at least three. 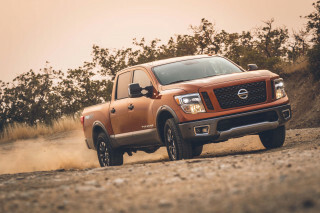 Like every other truck, there's a dizzying array of extras that can be added across the range of models that can customize each truck to every buyer. It's an exhausting list, and far too long to go into detail here, but it's enough to say that these trucks can be as unique as fingerprints. The only change from prior years is the addition of a "teen driver" feature that helps parents spy on monitor young drivers and can report back things like speed, distance driven, and how many times advanced safety features were activated during a drive. Ferris Buellers of the world: you've been warned. Most trucks manage just shy of 20 mpg combined, but careful attention is needed to maximize fuel efficiency based on buyers' needs. For some pickup truck buyers, fuel economy may not be the first priority when considering a light-duty hauler that can tow or work daily. 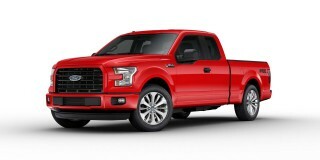 Others considering the truck as a replacement for a car or SUV may be more sensitive to those daily costs. We imagine most retail buyers (read: not fleet buyers) will consider the 5.3-liter V-8 to be adequate for most needs. In rear-drive configuration, those models manage 16 mpg city, 23 highway, 19 combined when equipped with a 6-speed automatic. With four-wheel drive (4WD) those models are rated at 16/22/18 mpg. Depending on cab and box configuration, that 6-speed may be swapped out for an 8-speed automatic in higher trims, but it's worth noting that the 8-speed is rated lower. The EPA chalks the differences up to the complex formula that they use to test pickups, which is based on sales mix and other factors; Chevy says the differences are due to lack of testing to the EPA's new standard. We say the answer is somewhere in the middle: the 8-speed may be a smoother shifter, but ultimately driving styles will dictate your final mileage. Top trims equipped with the larger 6.2-liter V-8 are rated lower: 15/20/17 mpg with 4WD. Work truck buyers opting for the V-6 and rear-drive manage 18/24/20 mpg. 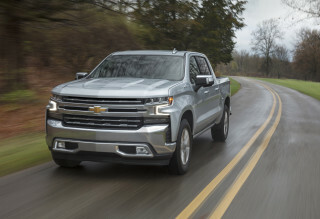 In very limited circumstances (California buyers, and in one trim) a Silverado with a light eAssist hybrid system and the 5.3-liter V-8 reaches 20 mpg combined. Those are available to only a small number of buyers, so it doesn't factor heavily into our rating. 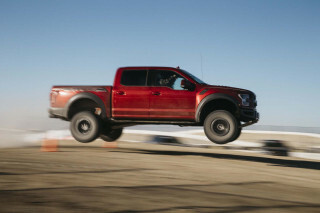 By comparison, turbocharged V-6 Ford F-150 models are rated slightly higher, but we've had a tough time replicating those numbers in the real world. Definitely not a quiet cabin while driving. Wind noise coming from the windshield is to much, terrible I would say!. My 2017 Chevy 1500 High Country is a antique!! What I don't like: 8 speed trans shifts to soon out of low gear and when I used the manual mode there was a big lag going into second under power, only a 26 gallon gas tank, manual shift mode must take hand off steering wheel to use, seat belt kept falling off my shoulder, needs a lot of pressure for brakes, key & fob: you must open and lock doors with it and you have to use the key to start the engine, the truck could use a option for lower gears for towing.